Seems that it's been too long since I sat down and wrote about a puzzle, but somehow life seems to have got int he way of puzzling. I've been getting ready for my wedding later this year, and making a batch of puzzles to have there, but I'll write about them later. 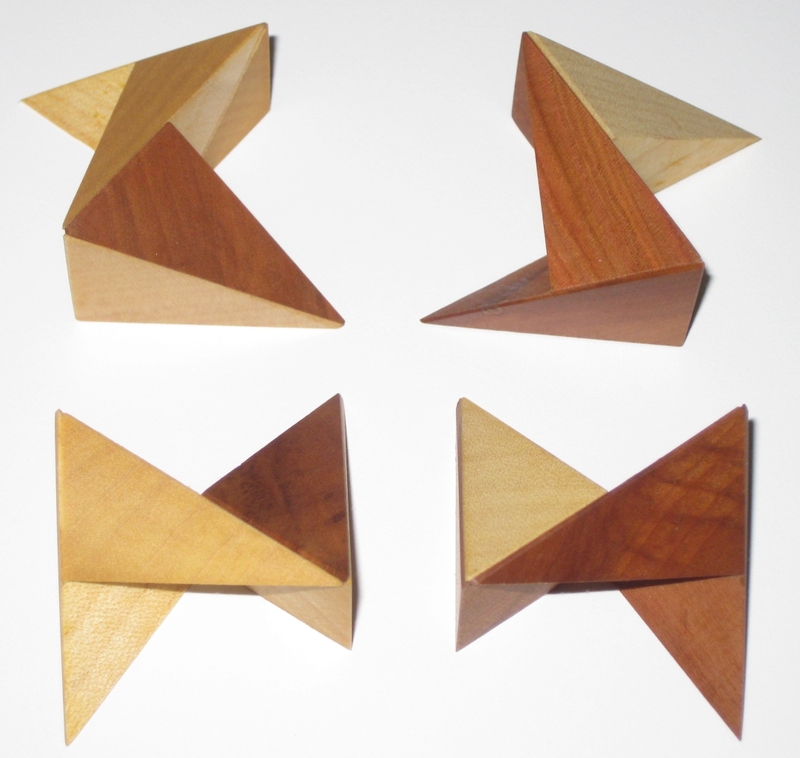 For now here's another Vinco Puzzle that's available from has mass produced line, which Puzzle Master and others carry. It will be no surprise to any regular reader of my blog that the quality of puzzles from Vinco is high. It's surprise, and really I'm not sure why I even need to mention it but this puzzle is no exception. The fit and finish is excellent, and Vinco's choice of contrasting woods makes for a great looking puzzle. 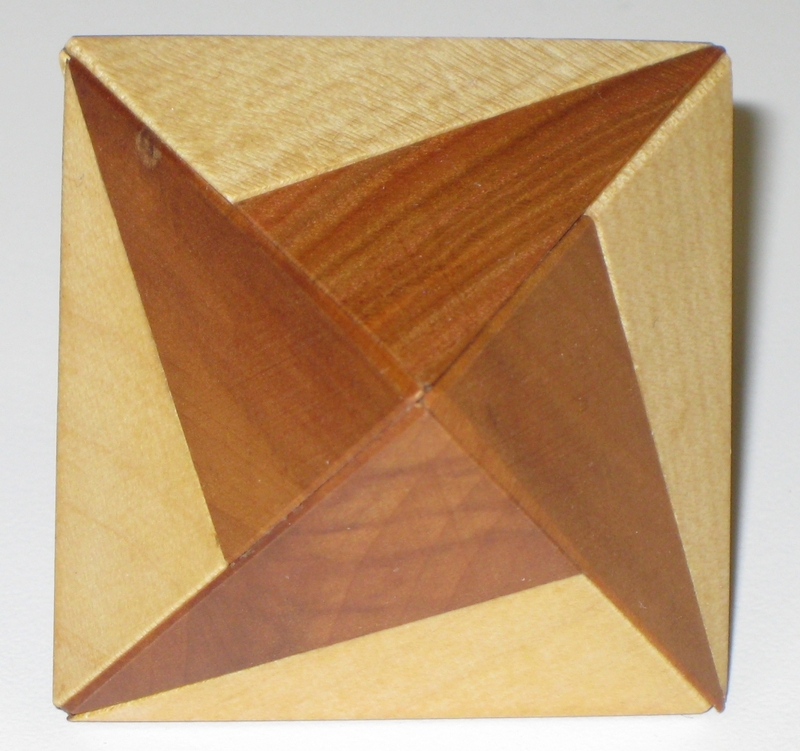 This is a fairly small puzzle measuring 2.5" x 2.5" and is made from Plum and Maple. 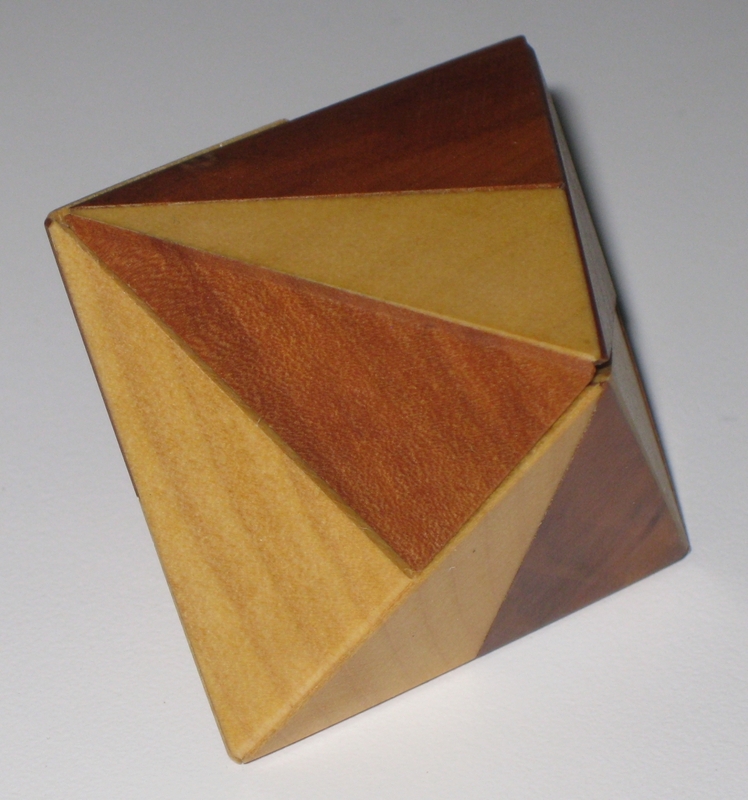 I now have a few puzzles in my collection made from plum, and really like the rich colour from it. Despite not being the most detailed grain, it is still a beautiful wood in its own right. As you can see from the different views, the placement of the woods makes for some interesting patterning in the solved state. It does also help when you have the pieces separate and are trying to solve the puzzle. With only four pieces, this isn't the most challenging puzzle, and given that it's not a coordinate motion puzzle, there's no tricky balancing of pieces needed when you're trying to get it back together. Finding the correct placement for your fingers to start taking this one apart though is a real challenge but makes for a fun if short challenge. Given that this is a small and simple puzzle, it's a great one to have in a bag to give to friends to play with, and it shouldn't keep them stuck for too long making it a great distraction. I know I've said it in the past, but you really can't go wrong with a Vinco design.